To check the portability status of international numbers, please send an email to porting@telnyx.com to confirm portability of the number(s) in question. Once portability has been confirmed, please fill out the documentation below and submit your request(s) to porting@telnyx.com. The porting team will then send you the required documents. 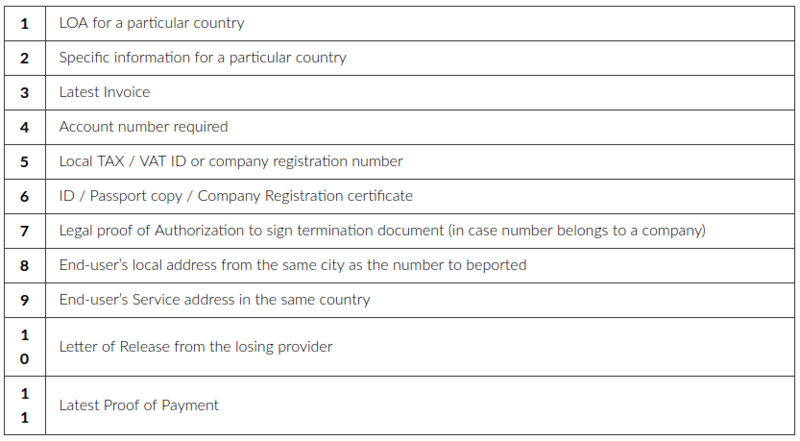 In order to submit a port for international numbers you need to include documentation. 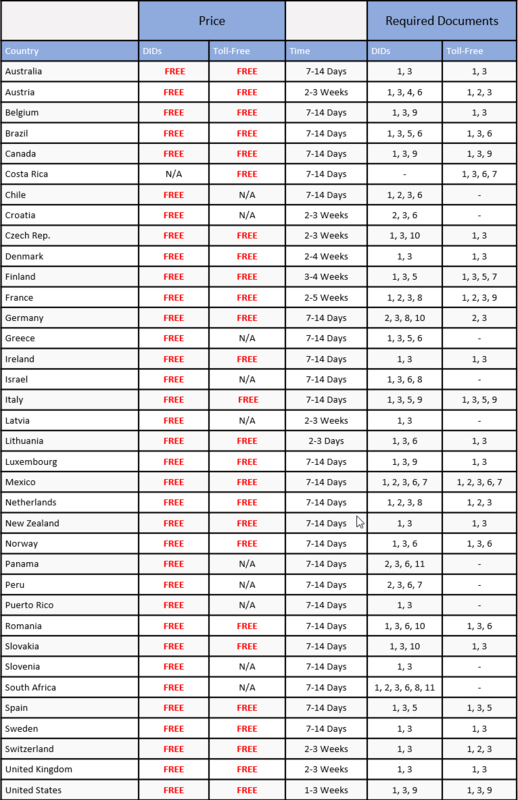 See the list of documents below along with the requirements for each country.